News & Trends> White Papers > Building - Contruction > MB Crusher SpA > MB Crusher Bucket BF 90.3 at work on Al Khor Expressway to save time and costs. MB Crusher Bucket BF 90.3 at work on Al Khor Expressway to save time and costs. 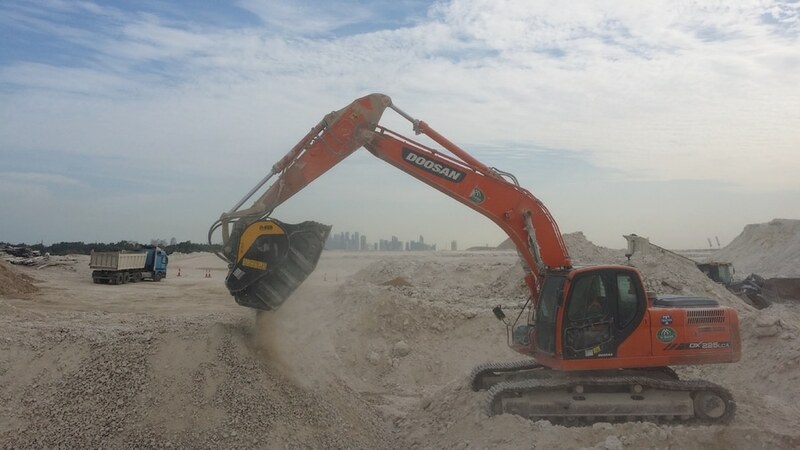 The Public Works Authority (Ashghal) is currently implementing Al Khor Expressway Project, which is one of the key projects of the Qatar Expressway Programme. The project, scheduled to be completed by Q4, 2019, includes the construction of dual five-lane carriageway in addition to 10 grade-separated interchanges, fast cycling lane and shared path for both pedestrian and cyclists.Traffic Diversion on Al Khor Coastal Road to enable construction works of Al Khor Expressway Project. 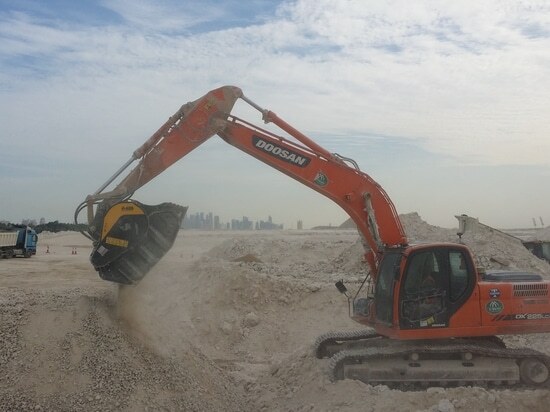 Al Maram company is working on the Al Khor Project, with the MB Crusher BF90.3, installed on a Doosan excavator. 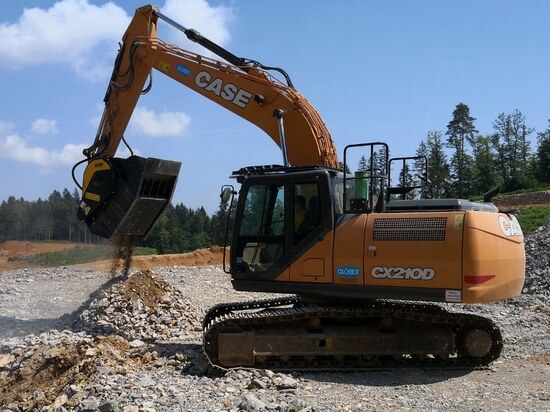 The excavated inert materials, is crushed directly on site to create the road sub-base aggregate. 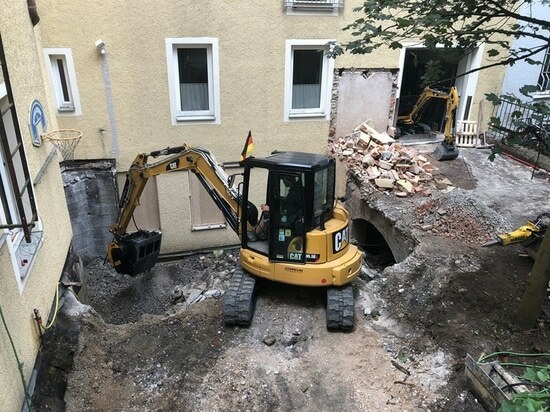 The high quality material obtained by the MB Crusher Bucket, is placed directly in the site to be filled in, thus hastening working site operations. 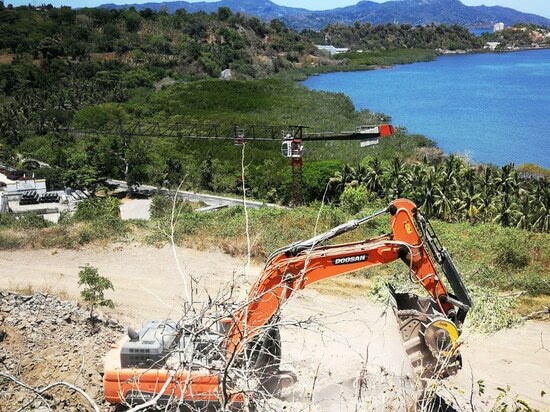 The application areas are far-reaching: from road works to quarries and mines, from environmental reclamations to rock applications, from general building demolition and the redevelopment of disused industrial and urban areas, to the treatment of materials from digs. The MB Crusher Bucket BF90.3 suitable for excavators from 21 tons, weights 3,50 tons, maximum hourly production expected is 42 m3/h.